This large format flap and pop up book introduces Mr Croc's friends as the play outside and inside and have lots of fun. There's Elsie the Elephant, Zebedee the Zebra, Lulu the Leopard and Wilf the Wolf. 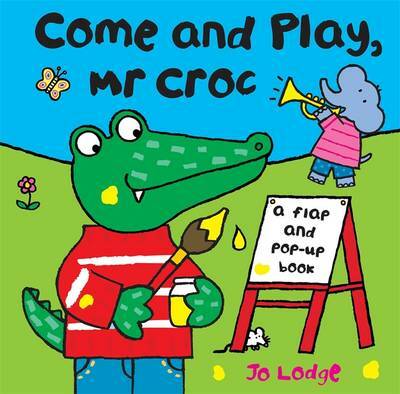 Come and play with Mr Croc and have lots and lots of fun!